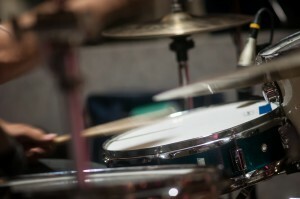 Drumming is a blast for students and they can start playing beats on the drum set pretty quickly in drum lessons. At HitMaker, we love providing drum lessons to students from Leander, Cedar Park, Liberty Hill, Georgetown, Round Rock and Austin, TX. Our drum lessons challenge students to train and master “Rudiments & Rhythms” on snare drum or with a practice pad. 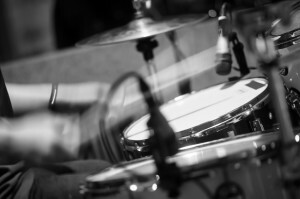 The study of rhythm, percussion & drum set improves focus, concentration and coordination. The drum pad, like all instruments, is a process that takes dedication and patience. In our drum lessons, students practice and develop a routine warm up on the pad to learn to balance the drum sticks. To get better, you must spend time throughout the week practicing. Playing well or not depends on how persistent the students is in developing fundamental “sticking” skills. Teaching students they can do it is the most fulfilling part of our mission. Serving Leander, Cedar Park, TX, Georgetown, Liberty Hill, NW Austin, and Round Rock. For more information please Contact Us us. From Cedar Park, TX, Our student is now at Cedar Park High School and working in their marching band as a snare drummer. The snare is among the most coveted positions to serve on the High School marching band. Some of Our drum and percussion instructors are part-time music teachers at the areas middle schools and high schools. They are serving in Cedar Park ISD, Leander ISD, Liberty Hill ISD, Georgetown ISD and Round Rock ISD. We have drum teachers who work with students throughout the Austin, TX metro area. 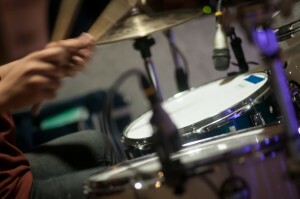 Drum lessons are a great way to begin working on musicianship as a whole. The ability to play rhythms and patterns in repetition is a skill that will help on any instrument. We work on basic percussion rudiments and expand from there. Many students begin playing the drum set in a very reasonable amount of time. We typically put them behind the drum set from day 1 of drum lessons.